Free print and color books of the New Testament print and color page helps the kids learn the books of the New Testament while having fun coloring in the letters. It is a great kids craft or coloring page for adults to enjoy too. 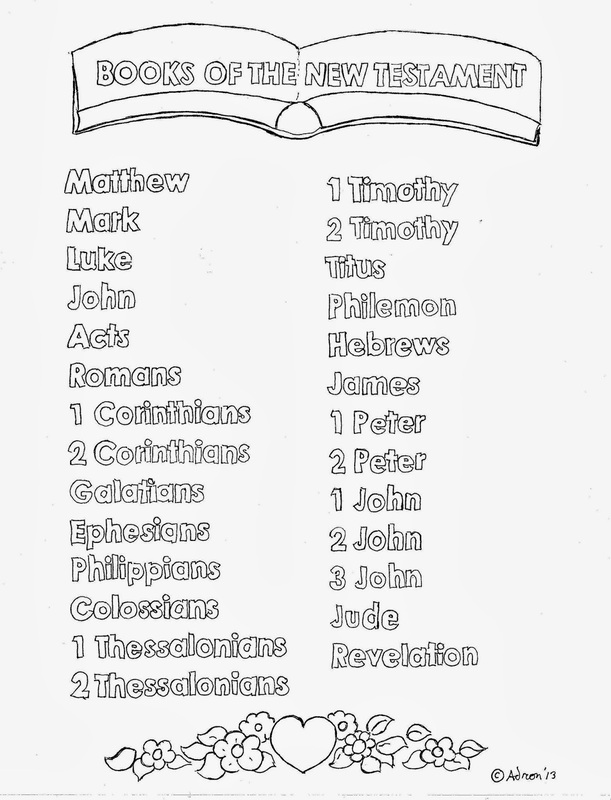 This is the books of the New Testament coloring page that I used as part of a lesson at the Awana kids club at my church. Parents teachers and homeschool families will find this helpful. Some kids have problems memorizing the books of the new testament but if they are tactile learners this helps a lot. The page can be colored in class in Children's church or given out as a take and color at home project. You can use it for a send home project to work on later. If you like this coloring page you might also like the "These are written that you may believe," John 20:31, coloring page. Your support will help keep this blog going. 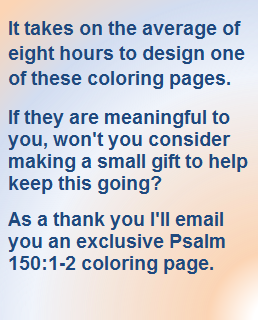 As a thank you I will email you an exclusive coloring page. Choose your gift amount first. CLICK HERE for a file in photo format. The letters of the books can be colored. They are a little tight because it was the only way I could get them drawn in nicely, but the kids can benefit from the use of fine finger activity. The embellishments of a book and the decorations at the bottom can be colored if the kids feel frustrated with the small lettering. To find more free to print kids coloring pages like this click on the label, "Awana" above or in the sidebar. To find more like this search the list of labels in the sidebar or choose from the most popular listed on the left. I am sure you will find one you will like.